Acquire best practices from industry peers and experts to ensure effective rebate calculations during the pre-conference day summits at the 19th Annual Medicaid Drug Rebate Program Summit. These full and half day summits have been specifically tailored to address your individual areas of expertise, regardless of whether you are a beginner or veteran in the industry. Plus! This year, we've added two new summits to address the anticipated impact and implications of the AMP Final Rule, along with a Generics manufacturers focused summit to navigate the difference between brands and generics calculation when complying with government rebate rules. 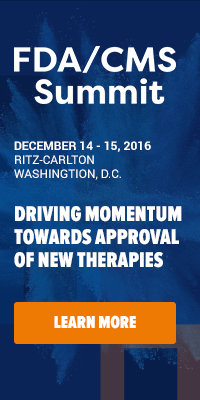 Don't miss out on the largest government pricing and reimbursement event in the industry! No other event provides you with access to this many government agencies who directly impact your business. Click here to save your seat now. I look forward to meeting you in Chicago this September.